If you're looking for information on Employee Login Cards, go here: Use Employee Login Cards Due to the time and cost involved in printing low volume gift cards, we no longer provide this service. 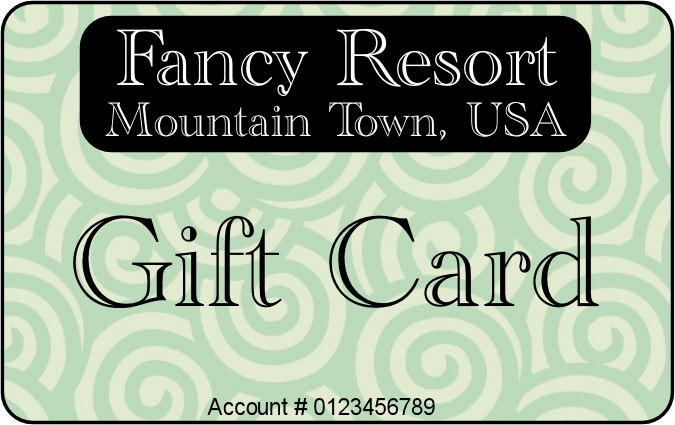 If you need gift cards, you'll need to purchase them from a company specializing in magnetically encoded cards, commonly called PVC cards. There are many of these companies and their prices are much less than we could offer per card. The card must be encoded on TRACK 2 with a MAXIMUM LENGTH 10 digit number. Because the Execu/Gift module uses a 10 digit account number, cards can only be encoded with a maximum length of 10 digits. Numbers longer than this will have all digits after the 10th dropped. Leading zeros are not required (1234 is treated the same as 0000001234). You should print the number on the card in case the magnetic track can't be read. 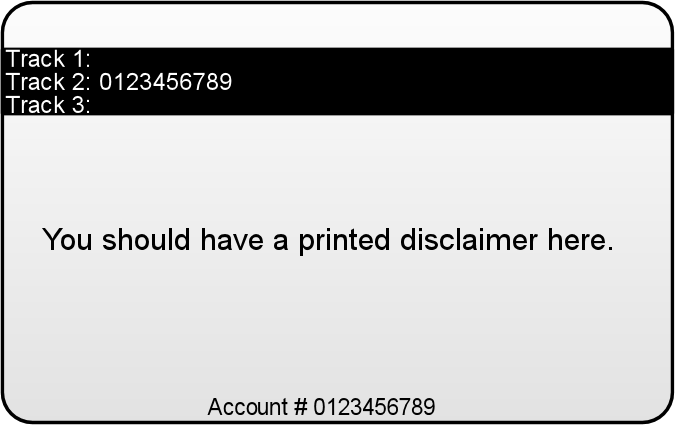 You should print a disclaimer on the card to let the guest know what it can be used for, when it can be used, if it expires, if it has cash value, etc. You should also check into any applicable laws concerning gift cards and include any required information on the card.